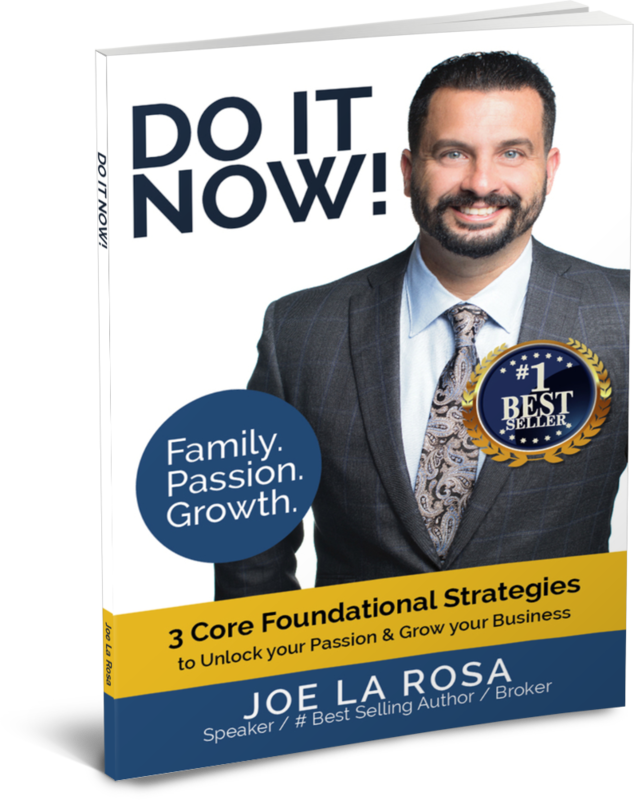 Join Joe La Rosa for his exclusive Do It Now! workshop series where he will break down your barriers and destroy your limiting beliefs to take your business to the next level! You cannot transform your real estate business without transforming your life. That’s just not how things work. The good news here though is that you now have the opportunity to make amazing, impactful changes in your whole life. Thousands have been through Joe’s workshop as he takes it across the nation. DO IT NOW! – is a step-by-step easy to implement system that can effectively help you with executing and communicating throughout your business and life. This book is based on his personal research & experience working with hundreds of agents and through his own experience as a successful broker. By the end of DO IT NOW!, you will understand why you are how you are, how to love what you can’t change, how to change what you don’t love, and how to start living the kind of life you deserve.